Come strategize with colleagues from around the state! There is so much opportunity to make our voices heard. The last five years have seen faculty organize as never before. Our state conference is a place to build the relationships and create the strategies to move us forward towards a higher education system that works for students, faculty and staff. We will share experiences from our last year of activities, talk about how we are organizing ourselves and strategize about collective bargaining, advocacy or issue organizing, and how we work with our university governing boards and win more accountability and transparency from our institutions. Register now–-we need the count for the caterer! by José Padîn, PresidentOn April 25 faculty members and leaders from Oregon public and private universities will meet in Eugene at the 2015 Annual Conference of the Oregon AAUP. Some will be AAUP members, some members of AFT, some dual members, some will be members of an independent faculty union, and many also active in shared governance through their faculty senates. All animated by the same spirit. Building statewide momentum for Educator-Led, Student-Centered, Debt-Free, High Quality, Higher Education. You are invited —and urged— to join us at this daylong conference. Be part of the momentum! Registration is simple and free. A recent piece in the New York Times offers a pointed diagnosis of the causes underlying our high-student debt, high-disparity, high-contingency, tenure-eroding vicious cycle. Our universities face a crisis that points directly at spending priorities, the problem is manifested locally, in the share of the budget going to growing administration ranks, but especially, salaries. Locally, with the support of a statewide network of faculty and students, we can and must see these priorities set straight. Lets get this work started on April 25. I hope to see you in Eugene. On April 10 the administration presented their counter proposal to the economic package UA proposed at the end of February. The Vice President for Finance and Administration spent over 2 hours presenting detailed budget information. We had never received this type of detailed information in the past. The gist, of course, was that the UO has no money in the budget for faculty raises. Their proposal indeed contained no raises for our next 2-year contract, although full time faculty would receive a $600 one-time payment in the 2nd year of the contract (pro-rated for less than full-time faculty). They proposed merit pools of 1% total salaries each for tenure-track and non-tenure track faculty in the contract’s 2nd year. Twenty percent of each pool would be used by the deans at “their own discretion.” We were dismayed at this proposal, to say the least. It is especially discouraging that it does not keep up with the cost of living, address internal or external equity issues, adequately address merit, and is certainly not an investment in the people that make the UO excellent. We know that our members expect and deserve better and they are mobilizing to support the union team’s proposals. Last month we noted the frustration of faculty over actions taken by the College of Arts and Sciences deans; the deans rewrote faculty-developed NTTF workload policies to institute a standardization of instructional FTE across the college. We encouraged our members to request departmental meetings with the deans to discuss both the substance of these policy changes and the process of disrupting shared governance procedures. Throughout March and early April, UAUO President, Michael Dreiling and director Dave Cecil engaged in a series of meetings with the CAS deans about their changes to the policies and shared information reinforcing what the deans had been hearing about faculty frustration. As a result, we were able to get some changes in the process. While standardization is going forward, course releases will be a mechanism for units to make adjustments to course load to align with existing practices. We are encouraging our members to reengage in the policy revision to document existing practices around course size, pedagogy, and other variables currently in use. 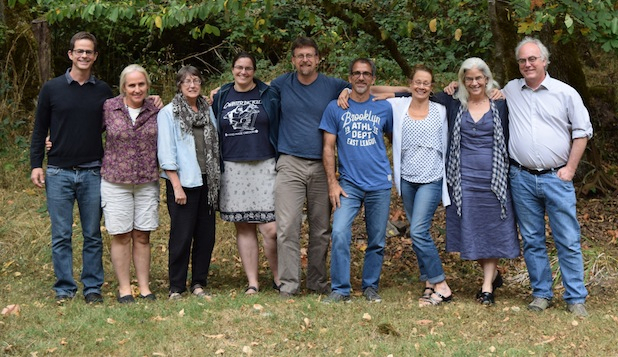 PSU-AAUP Back at the Bargaining Table: Will things be different this time around? 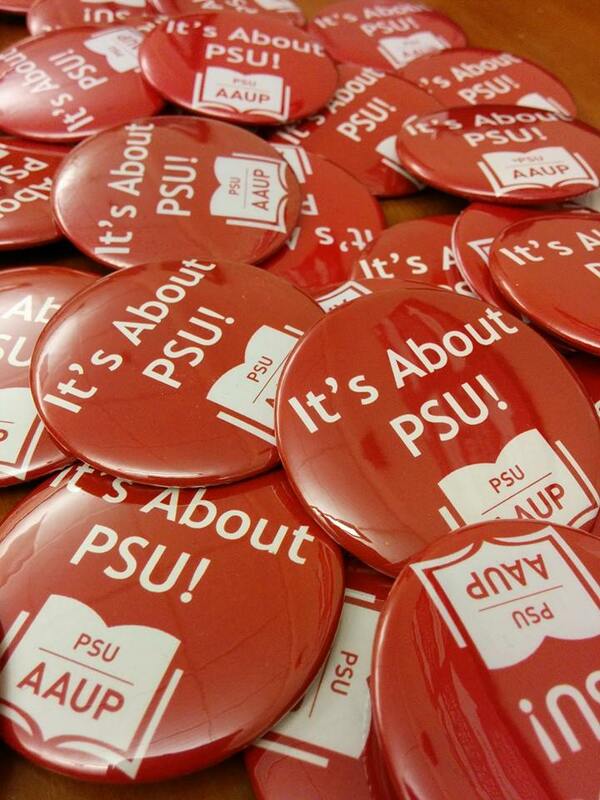 PSU-AAUP heads back to the bargaining table this May. Last time we bargained, it took more than a year and a near-strike to settle our contract. This time around, we hope things will be different. This fall, the administration suggested we consider using an interest-based bargaining approach in our upcoming negotiations. Interest-based bargaining (IBB) employs a more collaborative, problem-solving approach to negotiations. Rather than presenting and responding to contract language proposals, the two parties present issues, identify their interests behind those issues, share any relevant data related to the issues, brainstorm possible solutions, evaluate those solutions based upon the parties’ interests, and hopefully, come to a mutually beneficial solution. Given our recent, contentious bargaining history, our team was initially skeptical about IBB. However, as we began to learn more about the process, we realized that IBB could help address some of the problems we’ve had with PSU administration. The process requires openness, transparency and adequate sharing of all of the data needed to understand an issue. It can only work if both bargaining teams are granted the full authority to make decisions for their respective parties. A lack of transparency and decision-making power from the administrative team made negotiations very challenging the last time around. To prepare for bargaining, we’ve been conducting listening sessions across campus. Our bargaining team members have visited department and program meetings to ask our members what their concerns and priorities are for this contract. These listening sessions have been invaluable in helping us identify our issues, understanding how those issues are manifested in diverse units across campus, and capturing our members’ workday experiences. The issues we will address fall into four main “buckets” or categories: Fair Compensation, Retention and Recognition of Service, Support for Professional Development and a Healthy Workplace. We’re optimistic that the IBB process can help us address some of the longstanding issues at Portland State. We’ll kick-off our bargaining campaign on Wednesday, May 6th with a joint action on with our sisters and brothers from PSUFA, the part-time faculty union, which also returns to the table in May. The administration at Oregon State University has promised a number of significant policy changes in response to last year’s joint report written by AAUP-OSU and the Faculty Senate. At the April Senate meeting, Provost Sabah Randawa presented information on what has been done so far and what is still planned. The salary floors for Instructors and Faculty Research Assistants increased an average of six percent this year. The numbers of contingent faculty applying for promotion, which will carry a ten percent raise and the possibility of multi-year contracts, has increased. In response to earlier criticisms about the promotion process, which is currently arduous and modeled on the tenure process, there are on-going discussions about ways to streamline and expedite the process to encourage more eligible contingent faculty to apply for promotion. There are also discussions regarding bridge funding for research faculty who are temporarily between grants and compression adjustments for long-term contingent faculty who continue to cluster at the salary floors. AAUP-OSU will continue to monitor progress on these issues and pressure the administration to move more quickly toward full implementation. Share the post "AAUP-Oregon News April 2015"
The Oregon State Conference of the American Association of University Professors (AAUP Oregon) is the state-level organization of the AAUP. 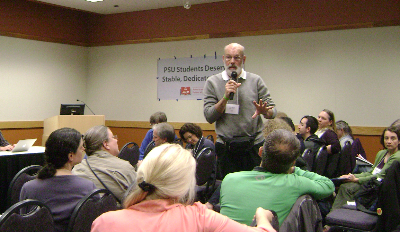 The Conference’s mission is to advance the collective interests of affiliated AAUP Collective Bargaining and Advocacy chapters, the principles and practices of the American Association of University Professors (AAUP), and the overall interests of higher education faculty in Oregon through the promotion of excellence in higher education as an investment in Oregon’s future.